Have you just opened a restaurant and would you like to manage better the tables and the dining room? This is certainly one of the most important aspects of the various management activities. The hall is the flagship of the restaurant, the first business card to present and what a customer immediately notice. For example, a possible confusion or disorganization in the hall might not escape from a closer look. Waiters who nervously run from one side to the other will certainly not make a good impression and this unfortunately will hardly go unnoticed. To avoid situations like this and to manage the tables in the hall, there is a solution and it’s called Ristomanager. This is a very intuitive and easy to use restaurant management system that will allow you to optimize and monitor every single activity, and especially that of the tables. Orders will no longer be a problem. 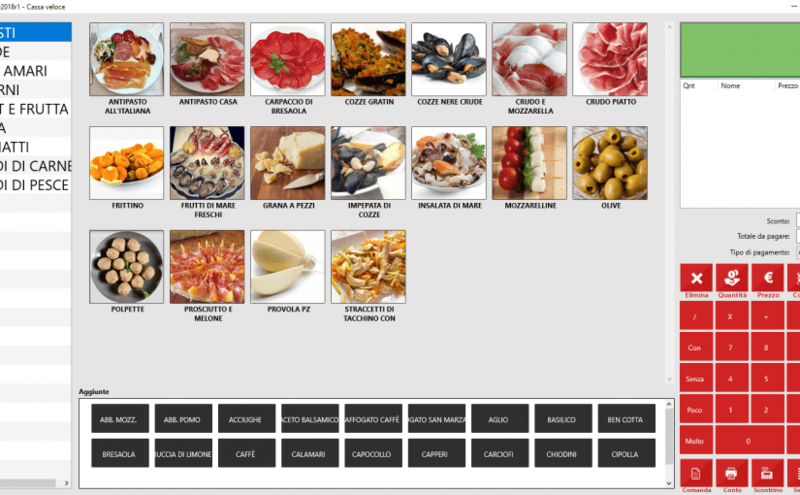 Thanks to this handy software, which you can download on all your devices, you can take orders directly on tablets and send them automatically to the kitchen. No more sheets and notes on which to write the orders and that could be lost or could be misunderstood. In this way you will save precious time and you will also avoid all the unpleasant eventualities that often go to the restaurant service, such as premissions and wrong orders. Not only that, by accessing the “Management tables” section, you can view the status of all the tables in the restaurant in real time. You can then manage the free tables, occupied, booked and awaiting payment. In short, the management of the tables and the management of catering in the complex will be easier and more efficient, significantly improving the quality of service perceived by the customer. All this thanks to a simple software that among other advantages also has not required any connection to work. Ristomanager, in fact, works by using the PC as a server and then by using the local network. This means that, in the event of a blackout, the software will continue to operate, avoiding unpleasant incidents and interruptions of work. Thanks to the “Fast Cash” section, you can also speed up to take-away orders, with the ability to send them automatically to the relevant departments and immediately issue of the order receipt. A practical interface will also help you identify the products requested by the customer. 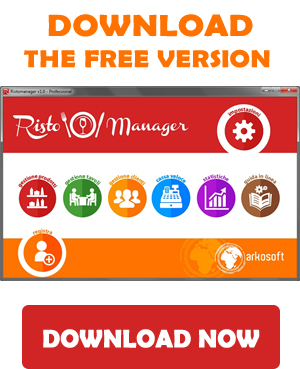 In addition to speed up the service a good manager, like Ristomanager, will also help you improve the management of the staff you need on the tables. The management of the table, in fact, does not only concern the possibility of optimizing orders but also the ability to offer assistance and care to the customer. This is up to the staff, and especially to the room that has the task of interfacing with the customer, responding with courtesy and education to all his requests and intercepting them if necessary. In order for the waiters to interface correctly and serve the tables in the right way, it is important to first select them carefully and then take care of their training. The training of the staff, in fact, is an aspect that must not be neglected. The staff, together with the kitchen, is the heart of the restaurant and even the presence of a single non-integrated element could cause problems for the entire management. In this case, relying on management can be the solution. In fact, through Ristomanager, you will be able to monitor this aspect too. You will be able to identify each person’s tasks and subdivide them in the right way without creating overloads of tasks and monitor their performance. In this way you can also detect any weaknesses and prepare improvement actions. You will also be able to know your staff better, assessing any movements or the need for more training by some. In any case, the end result will be a happier and more efficient work group, which will be able to provide an adequate and impeccable table service. Furthermore, it is possible to manage a real customer database, a sort of order history that will allow you to get to know them better and study any marketing and loyalty actions that has to be planned. In vogue for several years now, the management games of restaurants are among the most searched and downloaded online games. Maybe because playing with food and cooking is always a pleasure, it will perhaps be due to television broadcasts like Masterchef, the fact is that these games have obtained and still get great success. To test oneself with the management of a restaurant kitchen, the management of the warehouse or the tables, it seems, is fun and at the same time compelling. Online restaurant management games: why do they like so much? A way definitely to know a reality that those who frequent a restaurant often do not even imagine, and that instead is made up of many small activities to which you must be careful. And these games do nothing but highlight this: that is the need to have a management to get everything under control. In this case it is just a game of course, but the reality is that managing a restaurant is really very complicated. A good management software to download on your PC and on your tablet can in fact facilitate many operations and ensure that everything is monitored and controlled: from the supply of the warehouse to the management of the tables, the staff and even customers. The management of the restaurant, in fact, is not limited exclusively to the dining room and the kitchen, but also includes all those activities aimed at promoting the restaurant and retaining its customers. That’s why, if you want to make a difference and bring your business to success it would be advisable to rely on such an instrument. Thinking that you can do everything yourself, maybe concentrating on one person different roles, risks creating a lot of confusion and increases the possibility of making mistakes, leading the restaurant to a more than insured failure. And if a management software will give you the opportunity to improve and grow your restaurant, an online game can certainly help you understand how this world works and how you need to approach it. The games that fall into this category will put you in front of the classic responsibilities that a director or a restaurant owner have. You will also have to manage the warehouse, provide for the expense, think about the modernization of the premises and also the necessary cooking facilities. And not only that, to all this, there is also another not less important aspect, both in the game and in reality, which is that of personnel management and training. In fact, you will have to take care of selecting and recruiting all the staff members necessary for the correct operation of the premises. In short, a real simulation of what really happens behind the scenes of a restaurant. But let’s see what are the best restaurant management games to download on both iPhone and Android. This is a real management game, where you have to take care of everything, from the organization of the tables, the preparation and care of the room, the recruitment of staff, up to the choice of menu and prices. In short you will have to take care of every single aspect and activity of the restaurant, from the kitchen to the commercial actions, just like a real owner. This is therefore not one of those games where you cook and test your skills as a chef. In this case, you will take on the role of a manager who must have everything under control and bring his restaurant to success. the supply of the warehouse and the management of staff and cooks who will follow your instructions to the letter. The advantage of this game is that you can try out very different activities, discovering the various peculiarities and touching with hand all the difficulties that every owner or restaurant owner faces in everyday life. You will find yourself managing a pub or a pizzeria, or even a restaurant. You will know the differences between the various activities and you can have fun experimenting with new ideas and solutions to grow your restaurant. Have you just decided to open a bar and would you like to understand how to make a difference and be successful in a short time? Let’s start by saying that the bar, compared to the restaurant, is a place that we tend to frequent more often. If in fact the restaurant is only possible to have lunch or dinner, in the bar we can also buy a sandwich, drink a cappuccino or a simple glass of water. All this, however, makes the bar a more anonymous type of place than the restaurant and to which, precisely for this reason, it is necessary to dedicate more care and attention. The bars seem all the same, or so it seems, and for this the owner will have to keep in mind a number of aspects on which it will be necessary to leverage to succeed. One of the first things to do, for example, is to study the competition, trying to take a look at the bars already present in the area and evaluating any strengths and weaknesses. If it is true that the bars can all seem the same, knowing what goes or does not go between their currents can help us to put on a more focused offer to the needs of our potential customers. 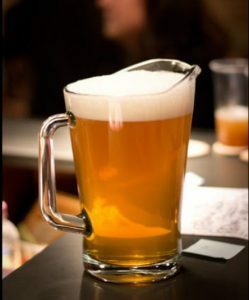 For example, if a bar has some shortcomings in the menu, we could think of compensating them by offering them in ours. A mistake not to be made, even if many tend to do it, is to not pay much attention to the location, which is why many bars are anonymous. One more eye on furnishing does not hurt and, perhaps, evaluating greater personalization of the environment could represent a distinctive element that can make the difference compared to the other bars in the area. ., approaching them with confidence but without being too intrusive. In this way it will succeed in making sure that customers become attached and loyal. In fact, the bar is not just a place to drink coffee, but it is also a meeting place, where it is nice to have a chat. For this reason, to offer a friendly and kind service can only play in favor of the business, influencing its success in an important way. Beyond the initial analysis of competition, which can guide us in understanding what to offer and the elements on which to focus, over time will be the opportunity to have a management to make the difference. 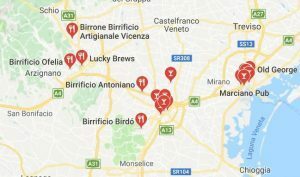 A bar, in fact, however small it may be, includes a series of activities to be planned and monitored constantly, which with the help of good software could be automated. 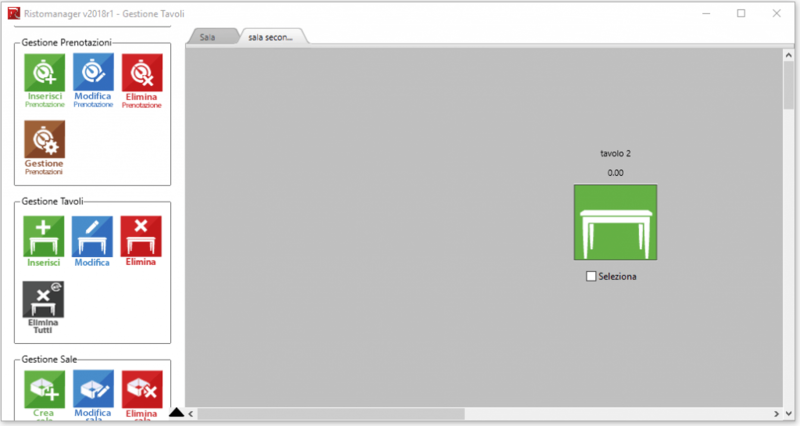 You can therefore evaluate to download an open source management software, such as Ristomanager for example, which will allow you to have every single activity of the bar always under control. From the management of the tables, to that of the orders, to reach the staff and the customers. Every aspect will be under control: you can, for example, speed up the orders thanks to the possibility of taking the orders via the tablets and automatically pass them in the kitchen. And not only that, with Ristomanager you can automate the supply of the warehouse, better manage your work group and develop marketing and customer loyalty actions. Yes, because thanks to this software you will have a real customer history available. You will better understand the tastes and habits of your customers and, based on this information, you will be able to study new strategies of promotion and loyalty. Moreover, unlike most restaurant management, Ristomanager does not need an internet connection. This makes the software independent of any blackouts that could put the business at risk All this is possible because it is sufficient to use the PC as a server, in order to exploit the connection of the local network. The software is also really easy and intuitive and can be easily downloaded on mac or pc. 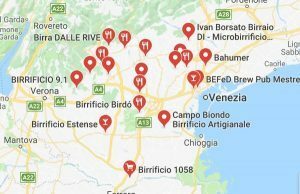 Here is a map of microbreweries in the Veneto region. 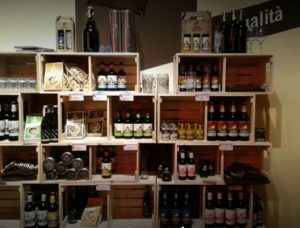 Some are real brewpubs, others just shops for direct sales. 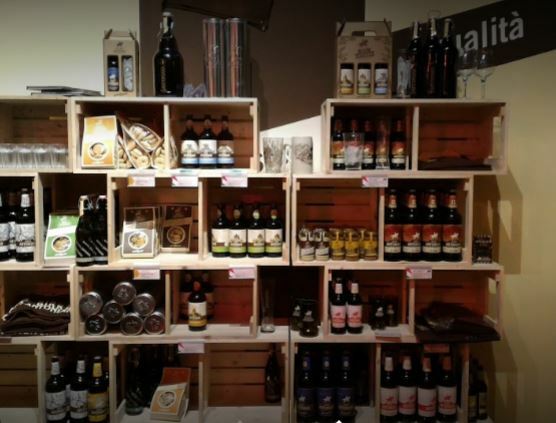 Enriching the frigovetrine and the menus with the local aromas of local craft beers can represent an added value. They will be inserted between the reload products of the warehouse and you will be able to evaluate in the profitability statistics. How to do? here is a suggestion. Below a list of Microbirrifics and Brew pubs created by the brewery. 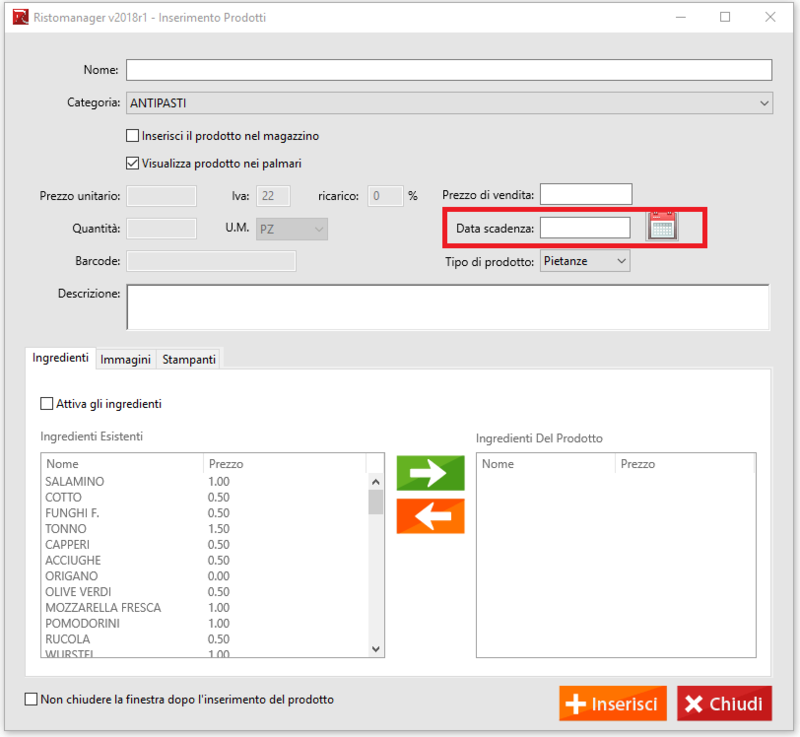 Today with great pride we want to announce the new release of Ristomanager, codenamed “Ristomanager 2018R1” we have worked hard in recent months to be able to offer you the best of software, obviously always respecting the main criteria in the restaurant. In this new version the policy of our license changes that currently obliged the constant renewal of our plans, but now we have decided to EXTEND the license purchased forever, so who will buy the license will no longer have any type of expiration every year and will be completely free. During the software start-up phase, Ristomanager will ask you whether to use a NEW warehouse, or to use a TEST warehouse as photos! With the products already loaded by us, you will have the possibility to try the software quickly, without LOADING ALL THE PRODUCTS. The entire management of the tables management has been redesigned and the management of creation of infinite SALES has been introduced, so that the large rooms have more possibilities to manage more tables in different rooms. Listening to you, we have added the possibility to insert the DEADLINES of the products, in order to have an overview of the products that are expiring in the warehouse. Without going to modify the single product to assign a printer, we have introduced the possibility of combining one or more printers to the selected products in one shot. From now on, you can enter a password on the windows of the program so that if a restaurant owner does not want to show his data to employees, he can protect the various areas such as “statistics” or “warehouse loading”. Many of you have reported to us that they had problems loading the products, since the old software, too cumbersome when loading the images of the single product, we redesigned this interface and now it will be very simple to load the images. 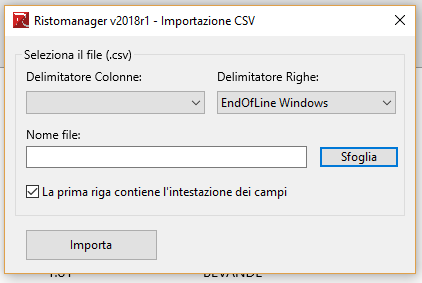 If you need to import products from another software, using an external CSV file, thanks to an interface in the warehouse management window, you can load a large number of products in a single step. We have also set up the management in the fast cash desk to make the software more intuitive and light. From 1 January 2019, only electronic invoices will be issued. They will cover the sale of goods and services rendered between residents, established or identified in the territory of the state and for the relative variations. The electronic invoice will therefore become the only way to issue tax documents. Restaurants will also be obliged to issue electronic invoices. The electronic invoice is a digital process of issuing, transmitting and archiving invoices. Starting from March 31, 2015, all invoices issued to the Public Administration must be in electronic format. The electronic invoice is not a simple file attached to an email. In fact, electronic invoices are generated in XML format, digitally signed and transmitted to the Financial Administration through an interchange system (SDI). The electronic signature guarantees the authenticity of the origin and integrity of the contents. Finally, digital preservation under the law is the last aspect of the process. Through the addition of a further digital signature and a time stamp on the electronic archive, the invoices are kept for the period prescribed by the legislation (10 years) in digital format. 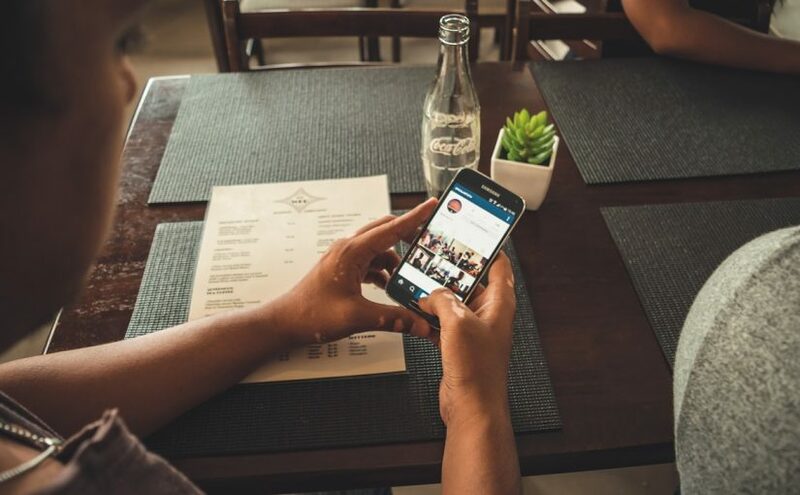 Every restaurant is faced with the problem of electronic invoicing 2019 restaurants today. In fact, the electronic invoice issuing must necessarily provide for communication with the Inland Revenue exchange system. Preservation of the document for 10 years. How will electronic restaurant invoicing work? Restaurant electronic invoicing will have to provide a system for compiling and transmitting the document, both to consumers and businesses. Although there are still doubts about the identification mechanism of private consumers, the mechanism for sending electronic invoices to businesses is clear. For B2B recipients, in fact, there are two ways of sending. Pec or Recipient Code of the Interchange System. Each restaurant, therefore, will have to generate the invoices in XML format, sign them and send them to customers in the manner described above, as well as, of course, to the Revenue Agency. From an operational point of view, after a short period of adjustment, a progressive improvement in billing management should be recorded. The interchange system, in fact, will behave like a sort of postman. The invoice will be sent to the customer and to the Revenue Agency, but also to the accountant. It will be enough to import the file into the various accounting applications and then to register the document. After checking the technical requirements, the electronic invoice can be stored in digital format. This operation will involve the affixing of a further digital signature, so as to guarantee its authenticity and compliance with the law. Preservation is an IT procedure able to confer legal value over time to the electronic document. And you, how do you manage your restaurant? Do you envisage cost control or electronic invoicing systems? 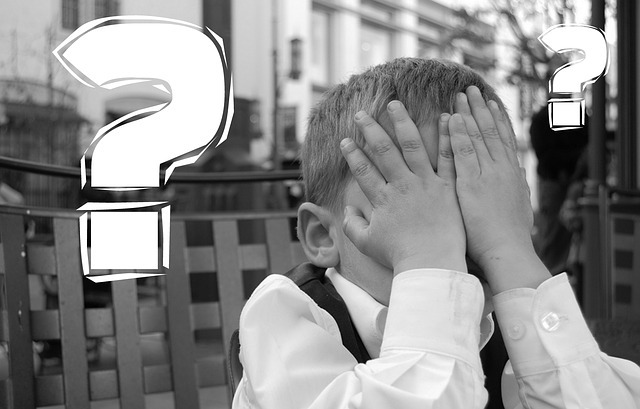 Are you thinking about opening a restaurant in the suburbs and are you afraid of having few customers? Managing a restaurant in the suburbs is certainly not a simple thing. 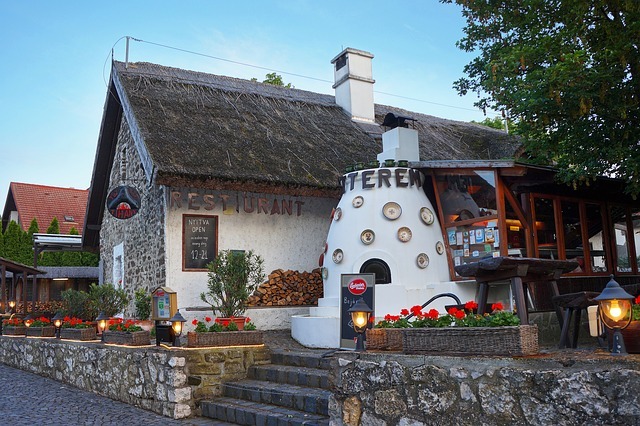 In this case, in fact, one of the main advantages of a restaurant located in the center can not be enjoyed: the possibility that a passerby will notice the sign and decide to try the kitchen. Especially if the activity is still at the beginning, it is indeed very difficult to emerge and get noticed and, certainly, a good position in the city can help. However, despite the path is uphill, it is said that a restaurant in the suburbs can not be transformed into a successful business. Also in this case, as always, it is very important not to improvise and correctly plan the most suitable actions to promote and make known the restaurant. If a restaurant in the center, being facilitated by the position, can think of investing less money in promotional and advertising activities, a restaurant in the suburbs absolutely can not do it. On the contrary, if you are managing a restaurant of this type, you will immediately have to plan an investment in marketing and promotion activities, so that your potential customers know about your existence. A restaurant in the suburbs, unknown to most, is a restaurant that is destined to fail. To properly manage a restaurant of this type begins to plan a series of actions to make known your business. For example, you could think of advertising in local newspapers, making some billboards, or relying on more modern and capillary tools, such as the web and the social media world. The choice will depend on the type of target you want to achieve and especially on the budget available. However, that you choose one tool rather than another does not matter: the important thing is to start promoting the business. It is clear that these actions will be planned with a forecast of costs and probably at this stage you may need a good restaurant management. One of the best currently on the market is definitely Ristomanager. It is a complete and easy to use software that, unlike most of the apps, allows an overall management of the activity, which goes beyond the simple organization of tables and orders. In fact, Ristomanager will also allow you to manage the supply of the warehouse, the staff, identifying tasks and even launching customer loyalty actions. In short, a complete kit to take off any restaurant, even an activity located in the suburbs and therefore more inconvenient to reach. And here we come to another very important element on which to leverage, in case you have to manage a restaurant in the suburbs. A restaurant of this type in fact, not being easily accessible, will have to focus on other features that could attract customers. An exclusive location, very accurate, or furnished in a particular way could be for example the key element to aim. In fact, if the restaurant in the center can also afford a rather anonymous location, a restaurant in the suburbs will have to focus on refined and quality furnishings, a location that will leave you speechless and push the customer to move for the pleasure of living it. And if the location has to be taken care of in the smallest details, the kitchen is equally important. Beyond the goodness of the dishes, an element that is taken for granted (even if this is not the case), you could in fact think of specializing in a particular type of menu. For example, you could offer a fish cuisine, or maybe just meat, with the possibility of finding cuts that would not be available elsewhere. In short, even in this case, focusing on uniqueness and exclusivity could help you. Not only that, if you do not want to specialize but would like to offer a wide and varied cuisine, then you could consider the idea of ​​establishing weekly or even daily promotions so that people are encouraged to reach your restaurant for a discount . In this way you will create monthly or weekly appointments that will allow you to retain customers. The latter, in fact, attracted by the promotion, it will be more willing to move and reach your restaurant. In this way you can increase your customers and fill the restaurant even in those days when it is usually more difficult, especially for a restaurant in the suburbs. Managing a restaurant includes a whole range of activities, from cost planning, to personnel management, to warehouse procurement, which is always under control. But this is not so simple, as the restaurant owner often has no time and can not follow every single activity. On the other hand, enthusiasm and passion are not enough and the management aspect can not be left to improvisation. That’s why some restaurant owners decide to rely on someone who serves as a restaurant manager. Others, however, choose to turn to technology. Today, in fact, the web offers apps of all kinds. For example, some of them allow to manage tables and orders, through tablets and smartphones, while others offer many more functions, aimed at managing the restaurant as a whole. The best app for catering: which to choose? Among the latter, one of the best apps of the moment is definitely Ristomanager. It is in fact a software for restaurants very complete and easy to use, full of features designed to allow proper management of the restaurant, optimizing and improving some aspects. Unlike most of the apps, in fact, Ristomanager is not limited to the management of tables and orders, features that now have almost all the software in the industry, but also allows you to manage customers and retain them with marketing actions. Not only that, using Ristomanager will also be possible to better manage staff, an aspect that is often very neglected and that instead has a strong impact especially on the service. A punctual subdivision of the roles and a better training about their duties will improve the quality of the staff’s work, with positive consequences on the customer’s service and experience. With Ristomanager it will be possible to better manage the warehouse, another crucial sphere in the restaurant activities. In particular this software will allow you to better manage the products. All loading and unloading operations from the warehouse will be easier and at the same time more accurate. You can then manage the stocks of the bar and restaurant, setting for each item the quantities available. In short, you will not have any surprises using Ristomanager. The management of tables and orders will also be optimized thanks to the possibility of transmitting orders via tablets directly in the kitchen. This will save time, avoid unnecessary waiting for the customer or any nasty surprises, such as wrong orders or lost orders. One of the features that makes the Ristomanager app unique in the restaurant software landscape, however, remains the possibility of having a real customer database, with the order history and all kinds of useful information for any marketing or loyalty actions. In short, a feature not just that and will allow the restaurant to take that extra step necessary to achieve success. Beyond many features that distinguish Ristomanager, is to say that this software has, compared things to other apps, also other advantages. One of the most important concerns the possibility of using it without the need for an internet connection. An aspect not just that you can hardly find in other catering app currently on the market. 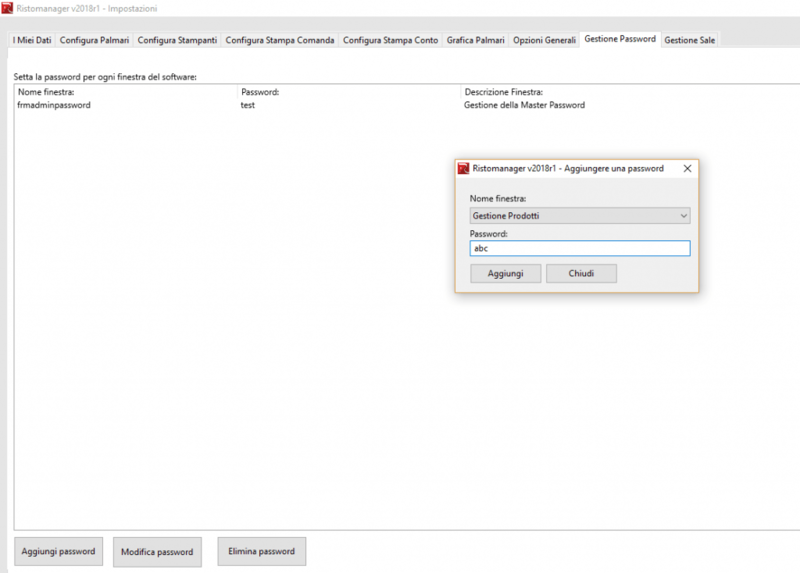 In order for Ristomanager to work, simply use the restaurant PC as a local server, exploiting the internal connection of the local network. In this way the management of the activities will not be conditioned by the presence or absence of the internet connection and will avoid annoying blackouts that could slow or even block the work cycle of the restaurant owner. This is what can happen for example if you rely on an app whose use is linked exclusively to the presence of an internet connection. With Ristomanager, this danger will be absolutely averted and you will be able to avoid a whole series of damages, such as the unpaid and the lack of evidence of the tables’ accounting situation. The software also allows for simplified backups. This means that you can change the server pc in no time: just copy the Ristomanager folder from one PC to another, without having to re-install strange services on your PC. Have you just started a restaurant business and are you wondering how it is possible to create a successful restaurant? In order to understand how to grow such an activity without making false steps and mistakes that could prove to be fatal, we really need to start from what we should avoid. If in fact everything seems simple in the initial phase and many things are taken for granted, every single move can be crucial and, if is not properly planned, could lead to a certain failure . In short, properly managing a restaurant and being able to bring it to success is not a trivial matter and for this, if you’ve just started, the advice is to rely as soon as possible to a good management. Ristomanager, for example, is one of the best and most complete on the market today. This practical and easy-to-use software will allow you to manage and monitor every activity and sector of the restaurant: from the management of tables and orders, to the management of personnel, the warehouse, to customer loyalty actions. In short, every aspect of the life of the restaurant will be constantly monitored and under your control, so to avoid that ,something is overlooked or not properly planned. In fact, one of the main mistakes that restaurant owners often make is not to plan the management and costs of the business. So the surprises arrive and in a short time the restaurant is forced to close, with extreme disappointment on the part of those who had instead believed in this activity. A situation of this kind occurs especially when the owner tends not to delegate and to concentrate on himself more than one role. The actual management of the restaurant, for example, should not be left to the owner, but rather to a specific figure or as an alternative to a management, just like Ristomanager, able to assist and simplify the life of the owner. Making use of a management system, in fact, it will be possible to offer a better service, which as we know is a fundamental and determining aspect in the quality perceived by the customer. An approximate and poor service, in fact, would risk ruining the reputation of the restaurant, bringing it in a short time to bankruptcy. Using Ristomanager this eventuality will be completely avoided thanks to the possibility of organizing the restaurant’s tables and orders. Through the tablets it will be possible to take orders and transmit them simultaneously to the kitchen. This will save time and avoid unnecessary waits for customers. Not only that, you can also avoid the unfortunate eventuality, very frequent in crowded and disorganized restaurants, lost orders and wrong orders. To these advantages is added the possibility to better manage all the restaurant staff. A part of the software is in fact dedicated to the staff. In this way you will be able to clearly establish tasks and duties and divide them in the best way, creating a more efficient management and enhancing the strengths. In this way you will avoid another mistake typical of those who are beginners with the management of a restaurant: the lack of staff organization. In fact, the staff is often not clear what their tasks and for this reason ends up carrying out their work badly. With the management you will always have everything under control and you can also identify any negative aspects or weaknesses of the restaurant, planning actions to improve the situation. Unlike the main management, in addition, Ristomanager will allow you to promote and give your restaurant that extra boost to achieve success, thanks to the ability to plan loyalty actions to your customers. Through the management of customers you can enter the data of your regular customers, to facilitate and speed up bookings or orders through the fast cash desk. All this information will remain stored in the management database, ready to be reused for marketing and loyalty actions. In short, creating a successful restaurant is not a simple thing and above all it is not the result of improvisation. In order for a new business to take off, much study and planning of management costs and all activities are required. Otherwise the risk of bankruptcy is almost assured. If you gratify a customer or insert recurring promotions or even a discount for the FIXED MENUS, you will have to manage the inclusion of the discounts. Usually destined to the lunch break or to attract that band you have not yet captured the fixed menus can lend themselves to the insertion of some novelty or facilitate the warehouse replacement by rotating those less required ingredients. 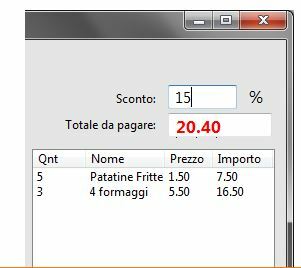 To enter the changes in the final count quickly and without error, entrust you with a software that simplifies your life and the operations to be performed will be only the insertion of the discount and the printing of the receipt. If you use Ristomanager you will see a screen where you can change the receipt print. In the Format section, decide what print quality to have, the width and height dimensions, and the font size in pixels (px). Once is set up, just use the Save button to confirm. Preview can only be displayed after saving options. To apply the discount, it arrives at the Total Paid to be paid. At this point it is possible to show on this figure, typing it directly in the field, which will bring up a discount in the appropriate field, or set a discount directly in the dedicated box.